Looking for help and getting started, tips & trick while working with VisLab? Here’s the right page. In this section you’ll find video tutorials and useful resources on how to use and work with VisionLib’s companion tool. VisLab comes with the VisionLib Tracking engine/SDK aboard. Once you’ve downloaded the tool, you are almost good to go. Note, that you need a valid license to run and use the tool (this includes valid, time-limited trial licenses). If you want to apply for testing VisLab and your trial License has expired, we can generate a new one for you. In such a case please write to request@visionlib.com. 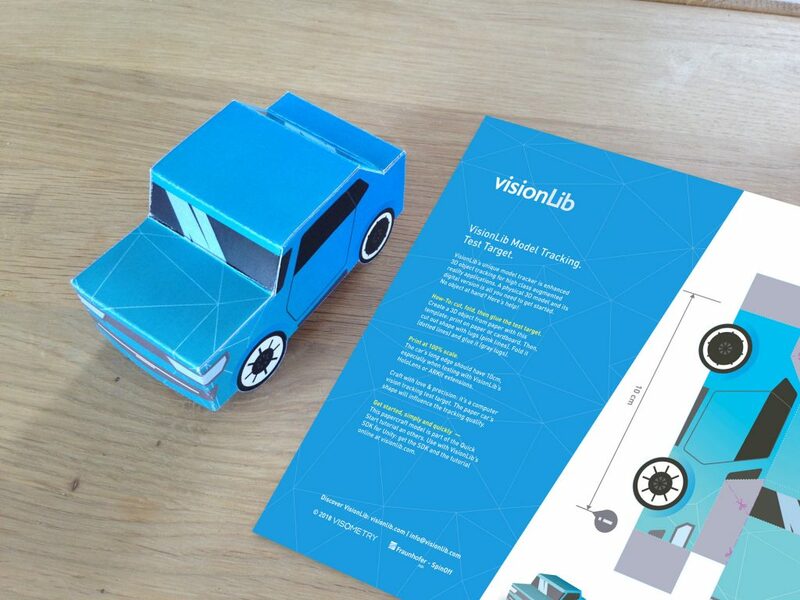 For Model Tracking, you need both, a physical object to be tracked, and a 3D model of it as reference for VisionLib. If you are already familiar with the VisionLib Unity3D SDK, you might already know our do-it-yourself demo object which we use throughout all our tutorials. Download it from here, if you don’t want to get started with your own objects. In this video you learn how to create, test, and modify tracking targets and config files for VisionLib’s Model Tracking in 10 minutes. Well calibrated device optics are key for Augmented Reality. While VisionLib includes calibration data for major devices, we recommend to calibrate not-included, special or custom hardware, because it deeply improves tracking and superimposition results. Currently not too many, anyway for the sake of completeness. a Reset the 3D view by centering the 3D model to its bounding box. CMD/Ctrl-O Open existing .vl file from system.